We have 4 new products to announce today. The B64 LP Battery Post Set allows for the drop-in fit of the feather-light (150 gram range) "LP" Low-Profile LiPo Batteries into a B64 or B64D. 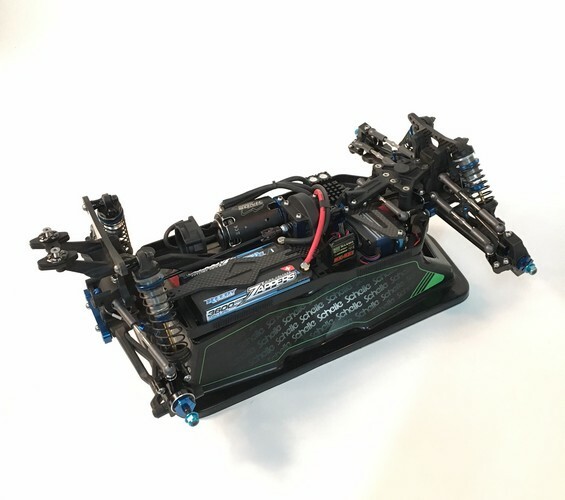 Dropping between 50 and 70 grams over a conventional shorty battery, the reduced weight and lower CG allows for faster cornering and acceleration. 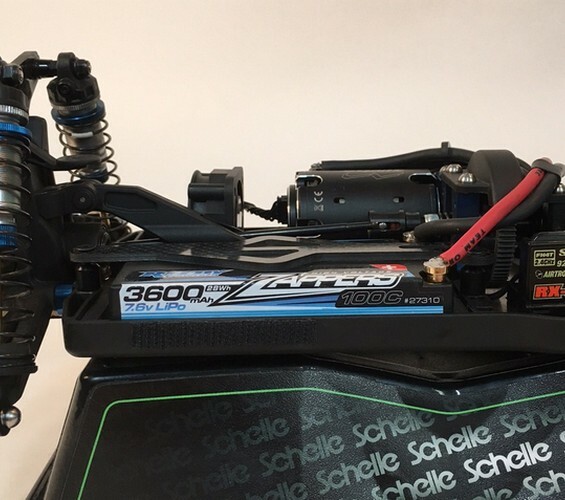 Racers can use the same baseline setup as the heavier battery pack, but we recommend trying a longer rear link on the hub or tower to gain a bit more rear traction. Also, you can add 20 grams to the right rear behind the battery to achieve more rear grip and still save tons of weight over a normal battery. Precision CNC Delrin (TM) material, made in the USA. 2 pcs. 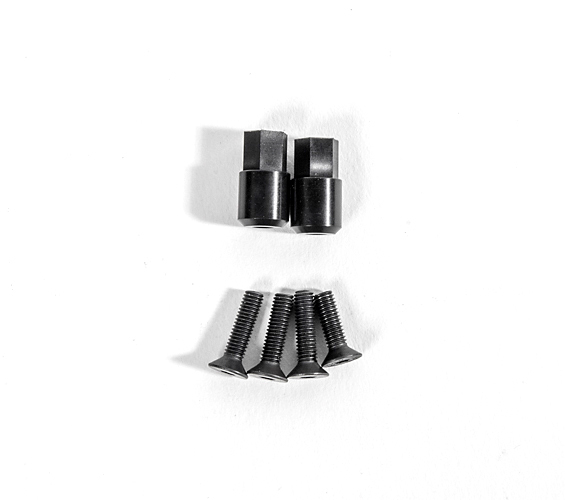 included with mount screws, instructions, and Coach's Tips. 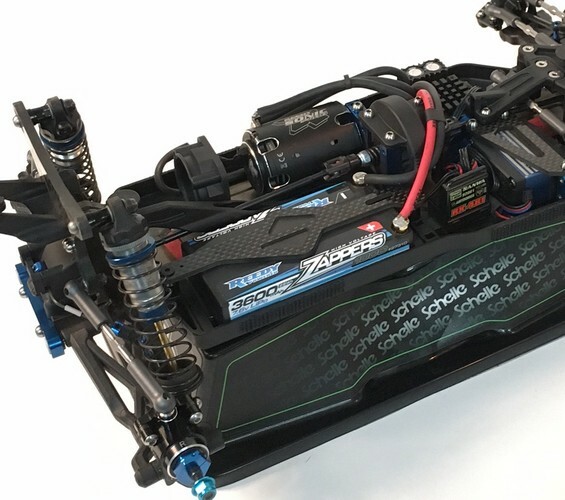 Recommended for 5 minute modified and up to 7 minute 13.5 4wd races without any drop-off. Also new on our popular line for V2 Associated 12mm pistons (screw-on type) we are offering 3 new variants. The 3 x 1.5mm Flat pistons are popular for 2wd and 4wd buggies in rear. Also, we are offering a new 3+1 line of split hole pistons, with the +1 additional hole added to give more grip and forgivement in bumpy conditions compared to a standard 3-hole. 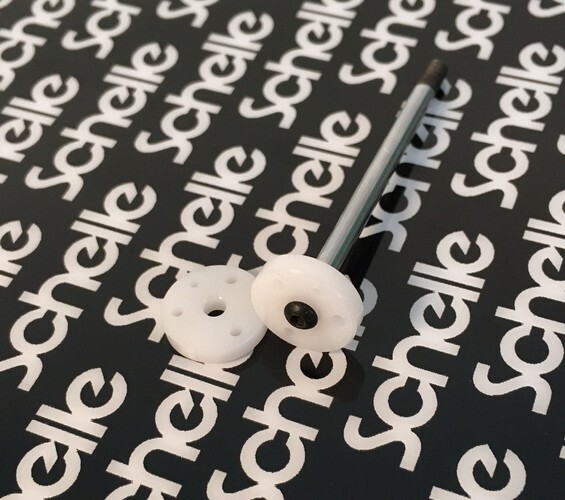 The addition of the small 4th hole gives less low-speed damping resistance, resulting in more traction. It also alters the damping progression relative to a conventional piston, giving less resistance initially before ramping as the shock speed increases.